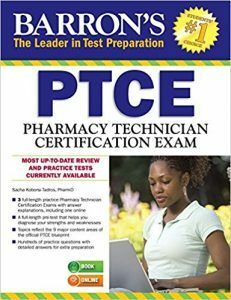 The Pharmacy Technician Certification Exam (PTCE) or the PTCB (Pharmacy Technician Certification Board) is an examination all pharmacy technicians must pass before they can start their career. The examination is administered at special test centers all over the country and the questions it includes are designed to determine if a person is prepared to practice as a pharmacy technician. The test is administered on a computer and all questions are multiple-choice, but only one of the four possible answers is the correct one. Usually, candidates have two hours to answer a total of 90 questions which can seem a bit much for a beginner. Questions are selected from nine domains which are considered critical for the pharmacy technician practice so you can only imagine the type of resources one would need! Most students tend to gather tons of video and printed materials, trying to cram as much information as possible in the days before the exam. But this is not the way to go! There are several study guides and prep books out there that manage to summarize everything in an intelligible, easy to read format. 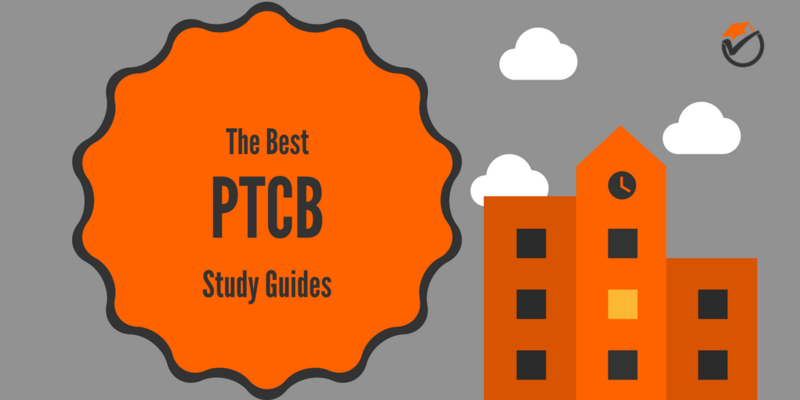 These are all the resources you’ll need and below you can find out more about the best PTCB study guides that will help you score as high as possible. If you’re looking for just the one resource that comes with all the information you need, the Mosby’s PCTE prep book should be first on your list. In 384 pages, the guide manages to cover every piece of information a candidate to the PCTB exam needs. Even more, the content is not stuffy, but well organized using handy outlines and electronic flash cards to help you learn. There are also useful tips on how to take the test and extremely successful strategies that will teach you about how to be prepared and ready for the test day. Mosby's Review for the PTCE is written by the well-known pharmacy technician educator, J. Mizner and come with 17 test simulations, each with 100 questions that will test your knowledge and level of preparation. 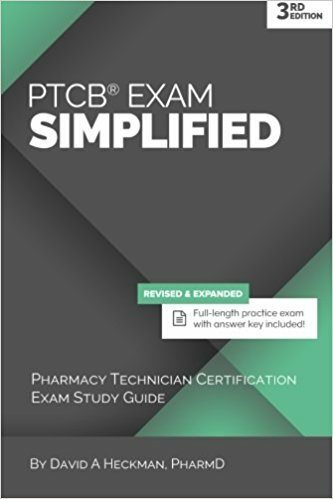 Even more, this 3rd edition is updated and improved to be up to date with the Pharmacy Technician Certification Blueprint. The content also includes information on current drugs and pharmacy practice procedures. 1) 1700 questions available in the book and online. The format of the questions is similar to the one used in actual PCTB exams to give students a realistic experience. 2) 700 electronic flash cards that cover top 50 herbals, top 200 most prescribed pharmaceuticals, abbreviations, and sound-alike drugs. 3) Tips and suggestions created by people who actually took the PCTB exam – these are designed to help you get into the atmosphere and find triggers that will help you, especially when your study time is limited. 5) 10 practice exams available online – in both timed and untimed modes with instant feedback on your performance and tips on how to get better. As you can see, the Mosby’s PCTB Guide is one of the best resources out there to help you prepare for this exam. Given the fact that the PTCB exam blueprint is so overwhelming, students need a simplified version of the study material. 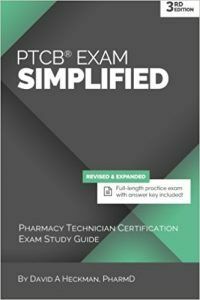 The PTCB Exam Simplified (3rd Edition) is your best resource in this case. The book manages to cover, in 298 pages, all the nine knowledge domains that are necessary for the PCTB exam. The content is organized in tables and charts and there are several illustrations that help visualize the content for better learning. The guide also contains a step-by-step guide for interpreting a prescription which is necessary if you want to pass this exam. There is also a top 250 of prescription drugs, top 30 herbal supplements, and top 45 OTC drugs. Of course, all the information is up to date with the current exam blueprint. Finally, the guide comes with some pharmacy law highlights and the secret to solving any pharmacy math problem which will come in handy during the exam. To review your knowledge and test your strength and weaknesses, the guide gives you access to a full-length practice exam with detailed answers. 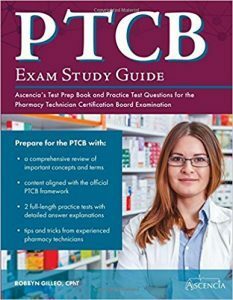 The Ascencia’s Test Prep study guide for PCTB is one of the most reliable sources you could find. Developed by industry professionals with years of experience, this 402-pages guide comes with a comprehensive overview of the content students need to master before the exam. To increase your chances of success, the guide also includes tips from healthcare professionals that will be useful beyond the test itself. You’ll also have access to two full-length practice tests to help you get into the test-taking atmosphere. All in all, the book comes with a good structure and presents the information in a clean format. However, you should know that some sections are more in-depth than others - for instance, the anatomy section is only briefly covered. You will learn a lot about the drugs, but you may need some other resources to cover all the information needed for the exam. 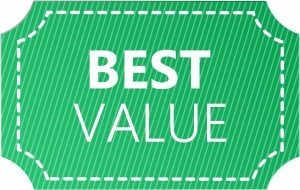 If you’re looking for a resource that won’t break the bank but it will still come with a lot of information and practice tests, the Barron’s PTCE Guide is the right choice. Many candidates who already took the test swear by it! According to them, if you have some practice in the field, this is the one resource that will help you ace the exam. 5) Updated information about PTCE requirements, test-taking skills and tips, strategies that will help you score high, and information on PTCE scoring. 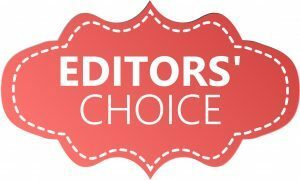 The guide is extremely resourceful as the authors explain in-detail why a certain answer is correct while the other options are considered incorrect. On the downside, this is not the resource to put your complete trust in when it comes to taking the PTCE test with great results. There are important data missing and, if you don’t have any prior experience, the guide is not enough. 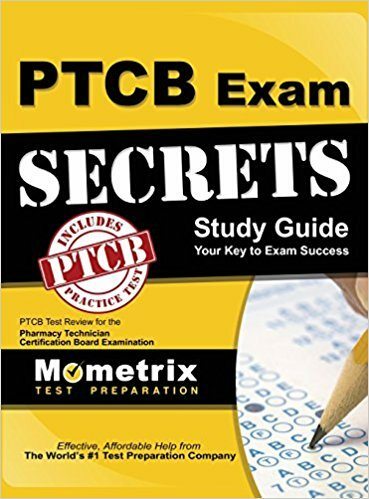 In 144 pages, the Secrets of the PTCB Exam Study Guide offers short and to the point explanations to anyone who wants to get prepared for the test. The great part is that this is an amazing resource for beginners. The information is very well organized and you don’t need any prior pharmacy experience to understand the concepts it presents. Even more, it includes strategies on how to take the test and helps you discover weaknesses in your preparation levels. You’ll also receive a free CD with study skills and over 50 questions that follow the PCTB exam format. On the downside, the Secrets of the PTCB Exam Study Guide is not a complete resource and many of the concepts it describes are condensed down to their basic meaning. While this is a good thing and helps you understand the basics better, it doesn’t cover all the necessary information for the test. Thus, we recommend using this resource more as a study aid and not as the base of your preparation. We know that the preparation for the PCTB/PCTE test is a difficult task but with the right resources, it will seem a lot easier. The ones we discussed here today are perfect for anyone (beginner or experienced pharmacist) who wants to get a certification. Of course, not all are necessary so you can take your pick. 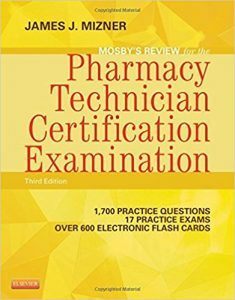 For someone looking to take the test with just one resource, we recommend the Mosby's Review for the Pharmacy Technician Certification Examination as it is a complete and well-organized resource. 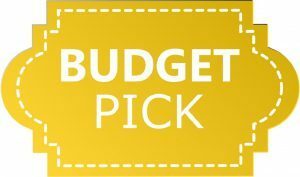 The same goes for the PTCB Exam Simplified (3rd edition) but if you’re looking for a budget resource, the Barron's PTCE Guide is great for you. 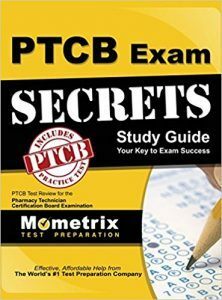 Finally, the Secrets of the PTCB Exam Study Guide is great for beginners and candidates who need a quick review of their knowledge and preparedness level.